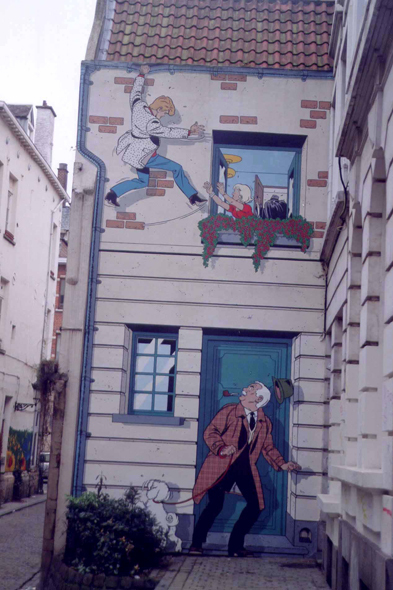 A drawing of Ric Hochet on a wall in the centre of the city. Brussels, capital of Europe, is also the capital of the comic strip. Michel Van Roye inaugurated the first fresco in 1991 and continues his frescos, stage by stage. Thus, 22 frescos were carried out for the happiness of the walkers.